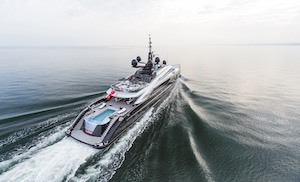 In our time we have outfitted more than 450 superyachts, working on some of the world's largest and most prestigious motor yachts and sailing yachts. 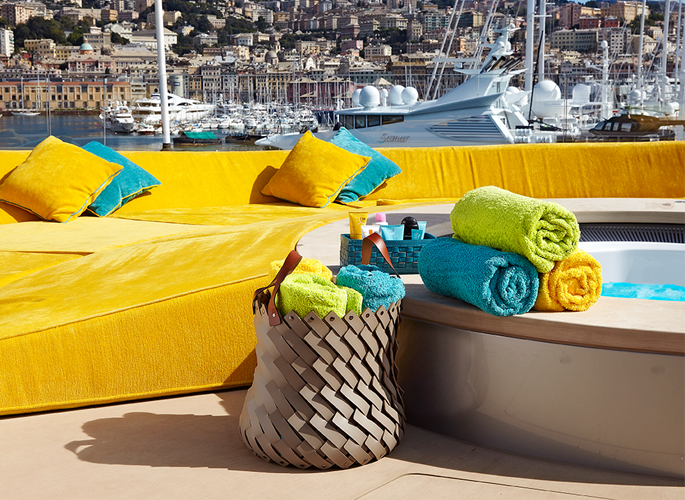 From our experience in the industry, we tailor our service depending on the superyacht's function and its owner's lifestyle. 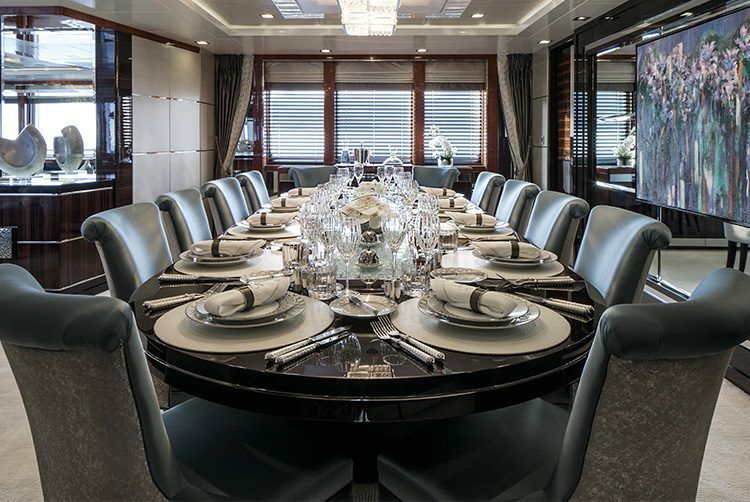 By having intricate knowledge of motor yachts and sailing yachts, we can make recommendations for luxury products considering the interior and exterior features of the superyacht. For example, is the superyacht for charter or private use? Will the superyacht's purpose be family orientated, will it be used for entertainment, business, or both? 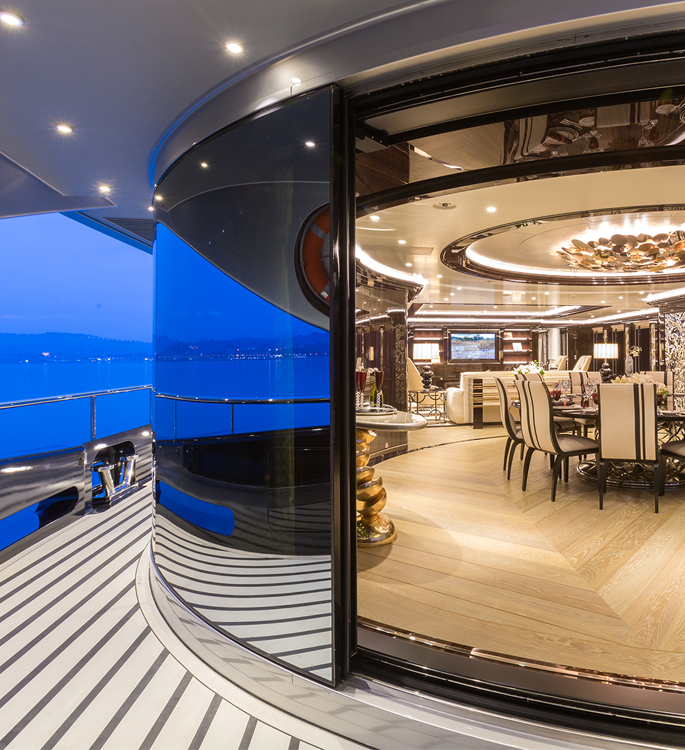 A common request is to use the General Arrangement drawings to suggest a list of items and the required quantities for each area onboard the superyacht. We can also provide fitting out pieces for sea fastening. Should it be useful, we similarly offer a measurement and templating service for beds. We record what is ordered, so should there be a re-order in the future, we have it covered. 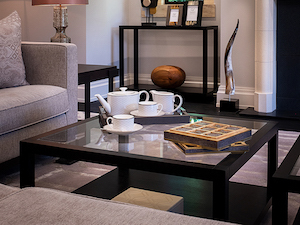 We have trusted relationships with the most respected and desired designer and artisan brands and have a comprehensive product library of more than 7,000 samples in our Manchester Showroom. We tailor our client's showroom visit to reflect their interior tastes and can walk them through the entire outfitting process in one visit. Our globally negotiated, unique brand partnerships mean we can offer the best pricing on our branded and unique custom designed products. Should the client wish to begin an order, we provide transparent quotations and liaise directly with suppliers. Taking the greatest care and precision we quality check the client's products individually. Our Logistics Team has decades of experience and works to the highest standards of quality control. Each item is unpacked, inspected, measured and then repacked, before transporting them to their final destination. We deliver worldwide and have experience delivering to areas with specialist custom regulations. We'll pack the boxes by room if desired, ensuring the unpacking process is as smooth as can be.